Would you like to spend a few hours getting to know how you can become closely involved with the operation of a famous, historic and airworthy aircraft? The Duxford-based Catalina Miss Pick Up has become a very popular and reliable airshow performer throughout Europe. Importantly, she has also proved that the concept of operating a large ‘warbird’ on a shared ownership basis can be a great success and of terrific benefit to shareholders. The operator, Plane Sailing Air Displays Ltd, is planning a ‘potential future shareholder’ event so that a small reserve of interested individuals can be ready to join our group when one of the 20 shares becomes available. Share ownership gives the opportunity to fly (for qualified pilots), or fly in (for enthusiasts), the Catalina and most of our existing pilots are shareholders. If the idea of being a part-owner of the Catalina and having the chance to get airborne with her appeals, get in contact now! The basic cost of a share is £19,750 and ownership will not only enable you to become a proud owner of a very special piece of aviation history but will open up opportunities to tour around Europe to visit air shows and other events. This unique and exciting event will be held at Duxford on Sunday 15th October 2017 and further information may be obtained from the attached and by contacting the operator here. 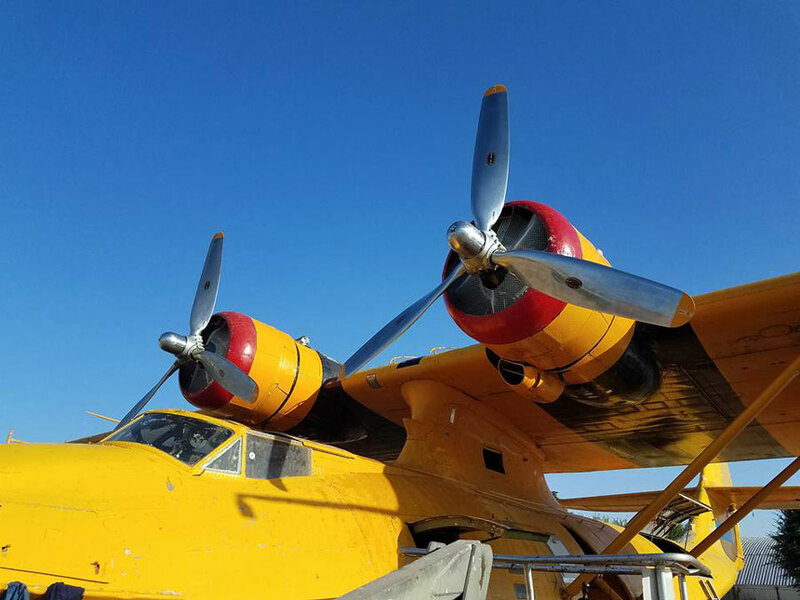 David Legg is a life-long aviation enthusiast and has had a specialist interest in Catalinas since seeing several water bombing examples in British Columbia in 1977. He has been a volunteer with Plane Sailing Air Displays Ltd since its first season in 1985 and has edited The Catalina News magazine since 1987. He currently flies in Miss Pick Up as one of the team’s Crew Chiefs.